Bocking 14 strain. 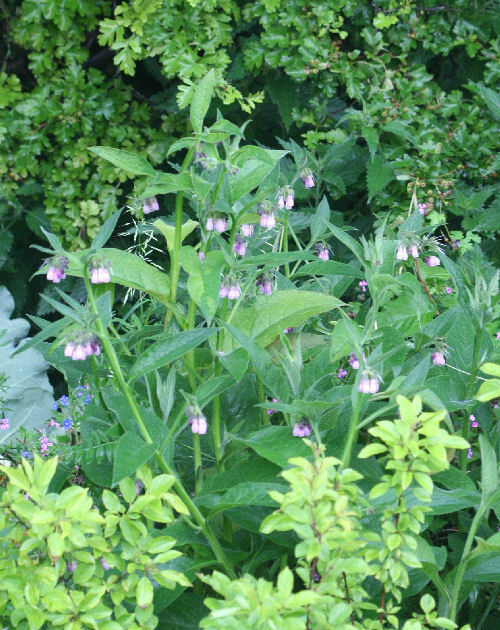 Comfrey is very useful to organic gardeners. It is deep rooted and collects many different nutrients from the soil rapidly into big leaves which also rot down quickly. These can be made into a high-potassium liquid feed for tomatoes and flowers, they can be used as a compost activator, in potato trenches and many other uses. It also is a great attraction for bees which will then also pollinate your other fruit and vegetables. 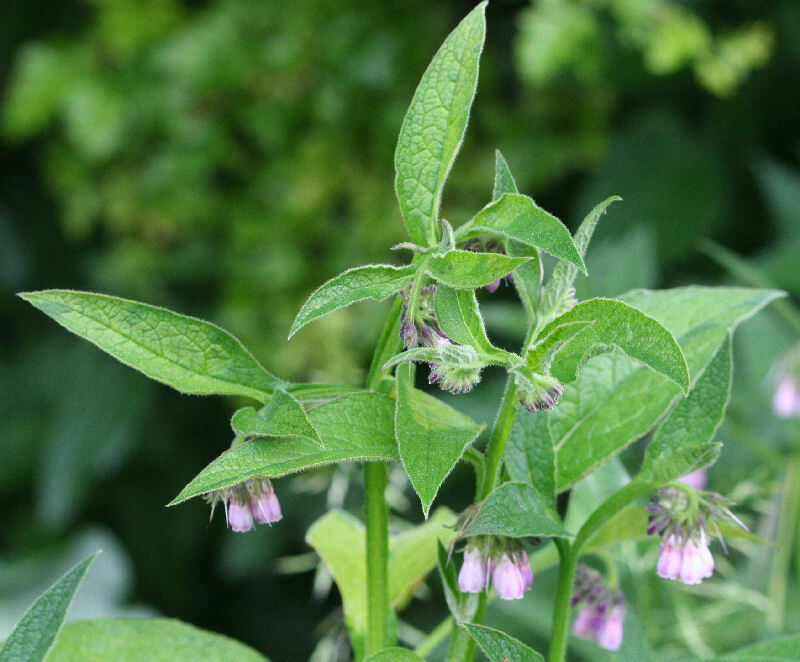 ‘Bocking 14’ cultivar of Russian Comfrey (Symphytum x uplandicum) was developed during the 1950’s by Lawrence D Hills, the founder of the Henry Doubleday Research Association following trials at Bocking, near Braintree, the original home of the organisation. It is a sterile hybrid so does not become invasive through its seed. A pretty pink and purple curl of flowers arch from the rosettes of leaves up to about 3 feet tall. Easy to grow in a corner of the garden where it will produce its crop of leaves continuously through the summer and die right down in winter. It is a hardy perennial.